which are not only bodacious in your pronunciations, but they also have great meanings as well. Both Irish girl names and Irish boy names rise and drop in popularity. But there are some, that last for years. Although in Ireland itself, many of the popular names are Caucasian in origin, here is a list of some Gaelic and Irish names which are growing in their popularity, and their meanings. Of course, a name is only as good as its meaning and what it stands for, so here are some of their meanings as well. Darragh is a boy’s name and it is the eighth most popular boys’ name in Ireland. The meaning of this word is related to fruitful and fertile. Another version of the same name with the same origins is Daire. This is one of the currently most popular Irish names, and all the various versions of the name with different spellings are in use. These include: Darragh, Daire and Dara. The latter two versions are also used as girls’ name. Siobhan is a very popular Irish name which is used all over the world, not only in Ireland but elsewhere in Europe as well. The word is derived from Joan, which simply means “God is gracious”. It is a saintly name which admires a lit of respect, which is why it was the most common Irish name. The name also has several English versions including Chevonne, Shavon and a few others. It is another boys’ Irish name with Gaelic origins. It was the eighth most frequently registered name in Ireland in 2016. The name means little deer, but the name has a historical and mythical background as well. This is the name of the son of Fionn mc Cumhail. Oisin was a poet and a heroic warrior. Other variants of this name include Osheen from Irish language and Ossian which has been used in various pieces of old literature. Saoirse is recognized as the name of the Irish actress, Saoirse Ronan. The name is a girls’ name and it is one of the most commonly used Irish names. It was the twelfth most registered Irish name. The name means freedom, and it is directly plucked from the Irish Gaelic language. The name became popular in the 1920s. Cian is the thirteenth most frequently registered name in Ireland in 2016. It is a name that became popular in the 1920s. the word means ancient and it also means someone that can endure. In Irish legends, Cian Mac Mael Maud was the name of the man who lead the armies from Munster to defeat the Vikings. The name holds a lot of respect and it is revered by Irish people. Aoife is a feminine and a gentle name. it also originates from Gaelic mythology. The name literally means beauty, and it was also the name of a warrior princess. Aoife would be defeated by Cuchulainn in her war against her sister, but the sisters would ultimately be re-conciliated. The name is related to other Gaelic versions: Eve and Eva, which are also girls’ names. Liam is a popular name, but what most people do not know about it is that it is also of Irish origin. Actually, according to 2016 statistics, it was the 14th most commonly used name for boys. The name is rising in popularity. Liam is the Irish derivative of an English name: William. William in turn is derived from Wilhelm, an even older German name. Wilhelm is composed of two nouns: “Will” and “Helm”, and a combination gives the meaning: strong protector. It is recognizable all over the world. There are many celebrities both Irish and otherwise named Liam. Ava is a name for girls, but its origins are German. The name has been adopted by the Irish people in the last century. The origins of Ava are from Eve. Some believe that this derivation is direct, but according to other experts, Ava is derived from the Hebrew word: Chava. Chava also means Eve. 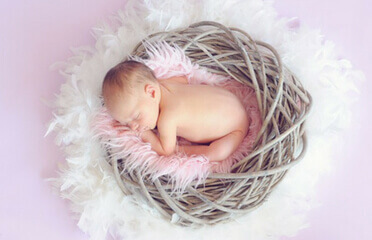 The word Ava itself means “bird” and it is a very fitting and very elegant name for a little girl. Aiden is a common and popular name, that also has a distinct origin from Irish. It is also spelled and pronounced as Aodhan and Aedan. The name is a diminution of Aed. Aed means fire. In linguistic derivation, Aiden therefore means “born of fire”. The name has a very poetic meaning. Add to that the historical background as well. St. Aidan of Iona was the founder of a monastery on the Lindisfarne Island. This monastery is very significant in Christian history, because it was from here that evangelization of North of England started. Niamh is a name that inspires wonder. Not only in its pronunciation but also its meaning. It means “radiance and shine”. One can imagine why it is such a favored name for girls in Ireland. In Gaelic mythology, the Sea God Manannan also has a daughter by the name of Niamh. She is described as a beautiful woman who is seen riding a white horse. There are other versions of this name as well. One of the more popular ones in Neave.